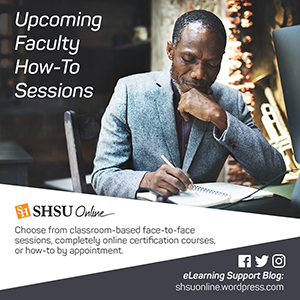 One of the best things about the connectedness of the web space is the ability to find media rich content to supplement or enhance course activities and materials. The beauty of this particular medium is that it is not just left to the instructor to utilize this media. Students can now liven up online discussions, assignments, projects and more with historical, current or relevant video or audio media. YouTube has long been a mainstay in this arena, in that it’s API allows for easy integration and everyone is familiar with what it does. However, there are other vast collections of resources out there that are relatively untapped by the student/faculty population. One of these curated resources is NBC Learn. NBC Learn is a rich and unique resource that provides thousands of historic news reports, current event stories, original content, primary source documents, and other digital media specifically designed to teach and engage students. 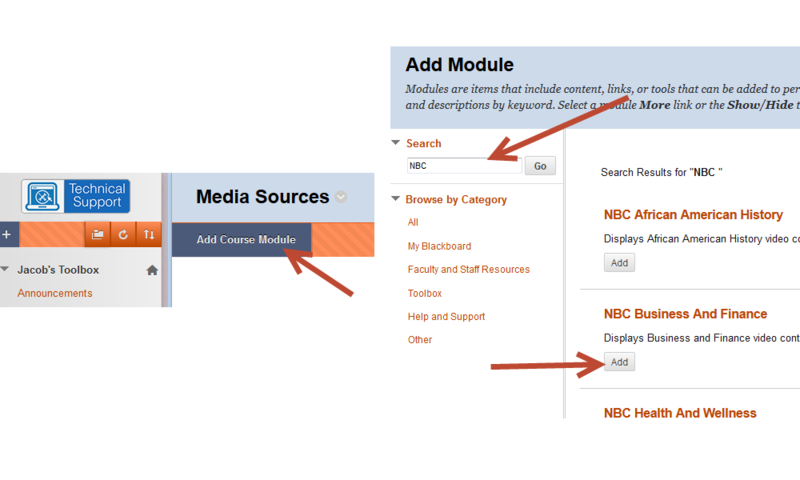 NBC Learn content can easily be downloaded for offline use or connected to your Blackboard courses. You can Browse NBC Learn, and see the Collection of all NBC resources within the NBC Learn environment. You can browse by category that best matches your field of study or just Search NBC Learn via keyword. Each video has its own CueCard with metadata like source, date, description, keywords, & citation (allows students or faculty to include citation in posting), as well as transcript tab for full transcript. Each video can be saved to your personal playlist within NBC Learn. You can also print a 2 dimensional version of the CueCard. Don’t see your category? 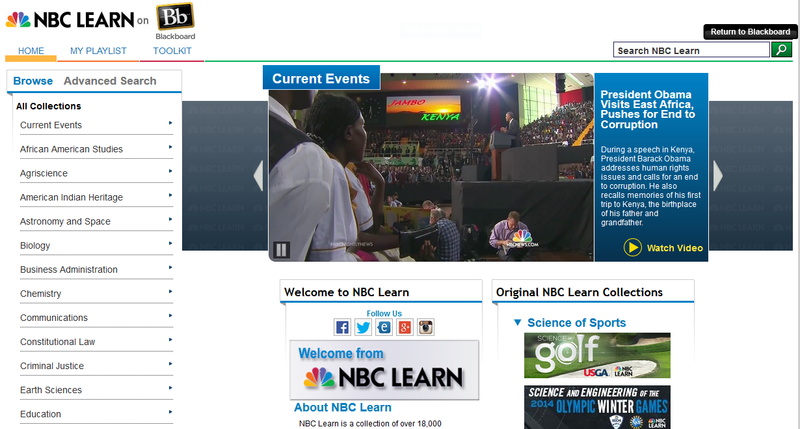 NBC Learn allows users to “contact us” and add comments/suggestions in terms of new categories for the NBC learn site. This particular option allows both you and your students to build context around the video. Whether you are introducing a unit or your students are adding to a vibrant online discussion, using the Mashups button in the content editor can add rich media throughout your Blackboard course. Accessing the Mashups area under Build Content and selecting NBC Content (places content directly in content area as it’s own item). The beauty of this option is that the media itself becomes a piece of course content. **You can also leverage a NBC Learn content module that will allow you to display categories of videos like: NBC Learn Science, History, News, Social Studies etc.. on any module page in your Blackboard course. NBC Learn and Blackboard have integrated and that is a win for Blackboard instructors and students. Now course content and contributions can become more rich, relevant and engaging!